In the field of elections, Contra Costa County, California is a big player. With over half a million registered voters in the county alone, Contra Costa wanted a website that spoke to the masses. The task at hand was to create a crisp, clean website that included a set of quick link items to specific content, a breadcrumb navigation trail, and a neutral color palette. 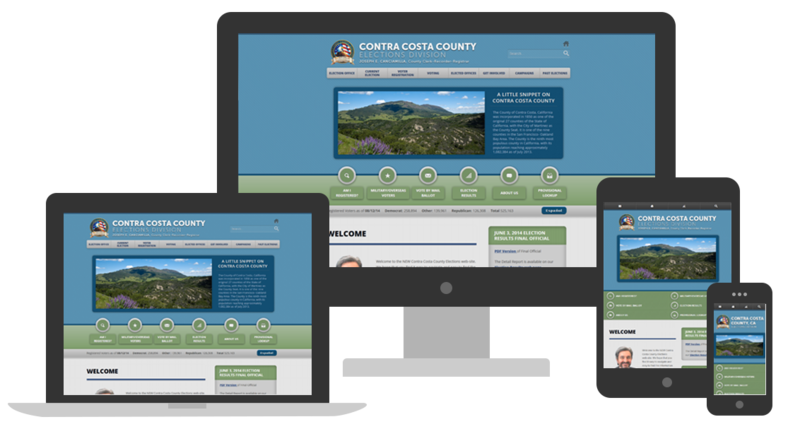 The project process for Contra Costa Elections started by collecting requirements directly from the client, then creating a design based on their specifications, and finally building a responsive WordPress theme, while continuing to manage county expectations and requirements along the way.